Batman v Superman: Dawn of Justice is dark and dour through and through. 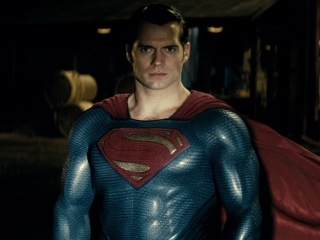 Director Zack Snyder and four screenwriters, including David S. Goyer, opt for a darker tone than audiences are accustomed to in Superman films. This time it works, however, with the inclusion of Batman giving it a grittier edge. There's a whole subplot (...) about the world trying to decide how it feels about Superman (...) and it's so important that it's dropped about an hour into the movie. ...akin to a Philosophy 101 thesis read aloud while you're being punched repeatedly in the face. Snyder debe entender que algo oscuro no es precisamente realista. Where BvS largely succeeds as a visual feast of imagery and action spectacle, it fails in creating an emotional backdrop for its gods to resonate with us mortals. BVS's most pivotal scene centers around a jar of urine. I'm not kidding. "There's very little room to breathe in Synder's world, one that appears permanently stained with an oppressively ashen color palette." That $250 million of studio money was spent on making something so strange and incoherent is a rare achievement. It is not a good film by any means - but like a car crash unfolding before my very eyes, it proved impossible to look away. A mega-budgeted mess of a movie that betrays all the telltale signs of a studio at war with itself. Zack Snyder ends decades of anticipation and finally brings both Batman and Superman together for the first time on the big screen with Batman V Superman: Dawn Of Justice.